Magento, with its excellent functionality and business-friendly features, remains a preferred choice for online retailers and developers. As the official Magento website claims, over 250,000 merchants use Magento platforms worldwide to date. After separating from eBay and launching Magento 2.0 in the year 2015, the Magento framework has undergone massive changes and improvements, which help it gain the large market share of around 29 percent. One of the biggest advantages of Magento is its ever-increasing developer community. It contributes to adding premium Magento 2 themes, templates, and much more to enhance the eCommerce store’s appearance and performance. Selecting the best theme for your online shop from many available Magento 2 themes is a quite oppressive task, especially when you strive for having a competitive edge over your peers. The first and foremost thing to consider is the visual effect of your online shop. A visually appealing theme can have a lasting impression among your shoppers. A poorly designed store with an ugly theme would increase the bounce rate. And because of that store owner faces the high risk of losing the visitors. On the other hand, the well-built website with an elegant theme can cast a spell on the visitors. The theme should also look professional as well as it represents your business online. For example, if you have an eCommerce store for handmade products, the theme with willowy lines and pastel gamut will work wonders. Urban clothing store requires shiny theme with block colors. It is better to check the themes on the demo site to see their look and feel during the Magento 2 theme development process. Next step is to check the user-friendliness. Once the visitors come to your website, they want an easy navigation, simple back to top button along with the search bar and shopping icons arranged in a traditional way. This is because they hate to spend more time in surfing rather than shopping. Websites should take less than 4 seconds to load on the desktop and less than 19 seconds on the mobile for a wonderful UX. A clean and stunning theme with a user-friendly interface can convince your customers effectively while giving them the interactive experience and they feel the caring approach. Numerous Magento 2 templates are suitable for different industries and product range. It is your call either to go for a traditional or trendy web design for your online shop. For example, if you are in digital product selling, then the flat design should be the choice, whereas, the apparel store needs a trendy and glamorous design. Our Shiney theme is the most suitable for the fashion industry. Know more about Shiney, a trendy, multipurpose Magento 2 theme. You can also take help of Magento 2 theme developers to customize the selected theme or make the theme up-to-date and in line with your business model. SASS, Bootstrap 3, HTML5, and CSS3- all these advanced technologies can build a robust theme for Magento 2. It helps your store work seamlessly across various devices. Fact: Responsiveness is a norm for any website, and eCommerce site is no exception. HTML5 and CSS3 framework make the theme capable of working in all types of screens. You can readily address a huge audience consists of smartphone and tablet users with the help of a responsive Magento 2 theme. 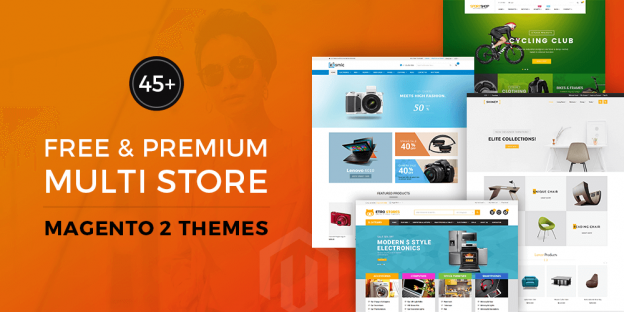 Take an example of our FreeGo theme made for Magento 2. It has a clean, minimalist, and elegant design. But, most importantly, it is fully responsive, easy-to-customize, and highly flexible theme. Another good thing is you can download and use it for free! Know more about our free Magento 2 theme Freego. Safari, Chrome, Firefox- Your visitors may use different browsers at different times through various devices. Therefore, it is advisable to check the cross-browser compatibility of your Magento 2 theme in advance. Though most of the premium Magento 2 themes have no issue of browser incompatibility, you need to be careful. If your theme does not function properly across all major browser, chances are high that the visitors may reject your site. On the other hand, with seamlessly working theme on all popular browsers, you can reach a huge audience with more ease. It ultimately results in an increase in leads and sales. In a way, cross-browser compatibility of a theme plays a vital role in making your eCommerce store popular globally. The Magento platform provides SEO (Search Engine Optimization) friendly environment, fine. So, your Magento store can readily get noticed by Google! But then, if your selected theme is not SEO-ready, then you may end up in losing high web traffic. Your SEO-friendly online store can get high rankings on SERPs (Search Engine Result Pages) that lead to high traffic and eventually higher sales. Now, if your Magento 2 theme does not have the standard codes for facilitating the robots of search engines, your online shop will not get a fast indexing and better search results. All you need to make sure that the selected theme has SEO-friendly features with a right HTML/CSS coding. 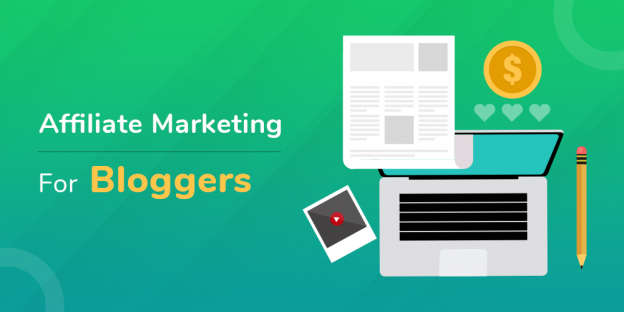 Read More: Here are useful Link Building techniques for a successful SEO campaign. We live in the age where social media channels play a dominant role in connecting people. Social media also can impact your customers’ decisions. Magento platform has built-in social settings to facilitate you to update your shoppers through various social media channels. You can readily share promotional offers, updates, latest tweets, and the like with a Magento 2 theme ready for social media. A practical Magento 2 theme comes with social features like fetching info from fan page or latest tweets from Twitter handle. Your shoppers can stay connected with you on a 24/7 basis with the help of social media integration. Also, you can get an instant feedback about the new product or service and resolve the customer queries in a short time. It makes brand recognition and brand promotion easy for you, and you can push your business forward. Check that the theme you have selected facilitates the display of various social media icons on your Magento website. Also, you need to ensure that the theme enables you to display the latest FB posts and tweets on the web page. In the age of globalization, you cannot afford the language and currency difference becomes an obstacle in your way. It’s time to make your Magento store ready for everyone, everywhere. You can do so by selecting a theme that supports multicurrency and multiple languages. Such a theme can make your business capable of crossing the border! In a way, your theme selection checklist also includes support for various currencies and languages. Can you imagine an online shop without any banner or a promotion blocks? No. Therefore, you need to select the theme that has a proper placement of banners and promotion blocks. Though almost all Magento 2 themes have a banner and a promotional slider, it is advisable to check it before selecting the theme. Remember, both banners and sliders contribute toward the success of your store. You can deliver effective messages, post updates, and spread the word about your business through a sliding or rotating banner. Furthermore, the right placement of promotional blocks can strengthen your marketing campaign and spread awareness among the visitors and customers alike. Last but not the least- It is better to check the theme for the perfect color blend in line with the range of products or services. It’s no secret that the color psychology has a great influence on the buyer’s emotions. Let’s put it in another way when was the last time you heard of someone who bought any household products, small or big, without looking at their color? Today, the web world has a huge collection of vivid colors, and most of the premium themes are like a visual treat for the shoppers. You need to choose the one with a right color blend to make your website successful. You can garner high profits with the help of such a theme. As per the survey, about 85% of shoppers said that color was a primary reason to purchase a certain product. That’s not all. You should also consider other technological and business aspects while choosing the right theme for your Magento store. With the right theme and Magento 2 templates, you can stay ahead of the curve in thriving eCommerce domain. We do hope that above 10 tips will help you determine the most suitable Magento theme for your online business. You can always contact Solwin Infotech to get rid of theme selection dilemma as our experienced Magento developers are well-versed with both technological advancements and eCommerce trends. At a Magento 2 store, the visitors add products to the cart by clicking the Add to Cart button. Once they are done, they need to click the cart icon at the top of the page to go to the shopping cart page. Moreover, Thanks for such a relevant information. 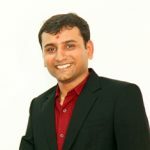 I am myself an SEO Professional and after reading your blog, I can say this blog will really help every digital marketer at the beginner stage. Looking forward to more relevant blogs from the page. Its a very good list of Magento themes. Very nice design and style and superb content material, nothing at all else we need : D.
Good Post its Very help full for me. i Read your Blog every day.Please write more about this topics.